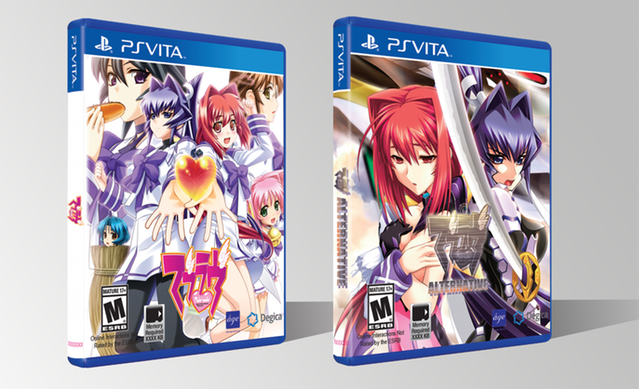 Muv-Luv and Muv-Luv Alternative are finally coming to a PlayStation Vita near you. PQube and ixtl plan to release the two titles on June 8th in Europe, June 12 for North America. Both games will be available physically and digitally. The combined playtime for both games is said to be over 150 hours. Muv-Luv and Muv-Luv Alternative are currently available on Steam. Muv-Luv and Muv-Luv Alternative release date announced! PQube (Bristol), 23 May 2018 – PQube and ixtl are pleased to announce that both Muv-Luv and Muv-Luv Alternative will be released in Europe on June 8, and in North America on June 12 for PS Vita – releasing both physically and digitally. Muv-Luv, which contains both the ‘Muv-Luv Extra’ and ‘Muv-Luv Unlimited’ storylines combines with Muv-Luv Alternative to complete a Visual Novel trilogy, widely considered to be among the best the genre has to offer. Fully revamped to give them a fresh new look – a new generation of fans can now discover this extraordinary work of science fiction with updated graphics, interface, a new game engine and the first official translation! A saga which is never short of epic, Muv-Luv begins as a simple, romantic story – a tale of a high school boy in pursuit of love. As the narrative unfolds, however – things escalate to a full-blown account of alien invasion and mech battles in a struggle to save humanity. The combined stories of Muv-Luv and Muv-Luv Alternative total over 150 hours of emotional rollercoaster that should not be missed by both visual novel aficionados and newcomers alike! Both PQube and IXTL are hugely excited to help bring the complete mainline Muv-Luv saga to a wider, international audience. Muv-Luv and Muv-Luv Alternative will be released on PS Vita both physically and Digitally on June 8 in Europe and June 12 in North America.